This week has been for us a whirlwind of making decisions regarding the house interior. The trades are out in force at the house – heating, cooling, electrical, etc. – and the pressure has been on us to make decisions. Even when working on a modest budget, the number of choices is sometimes overwhelming (imagine what it would be like if cost was no issue!). On the one hand, I recognize that it is good that everything is not standardized and that there is room for individual taste but, on the other hand, it seems that there is an excess of choice in our society. At least that is how I feel when confronted with the dizzying array of options (have you walked into a big lighting store lately?) Ironically, however, once we begin working through the many variables, the number of choices dwindles and then we find ourselves wanting just one more option! One just a little bigger than that one but just a little smaller than the one over there. One just a little lighter than this one but just a little darker than that one…..you probably get the idea. Fortunately, we have worked with some very good people and most of the decisions have been made but several more tough ones remain. Does anyone want to be a hardwood floor consultant over the next few hours? 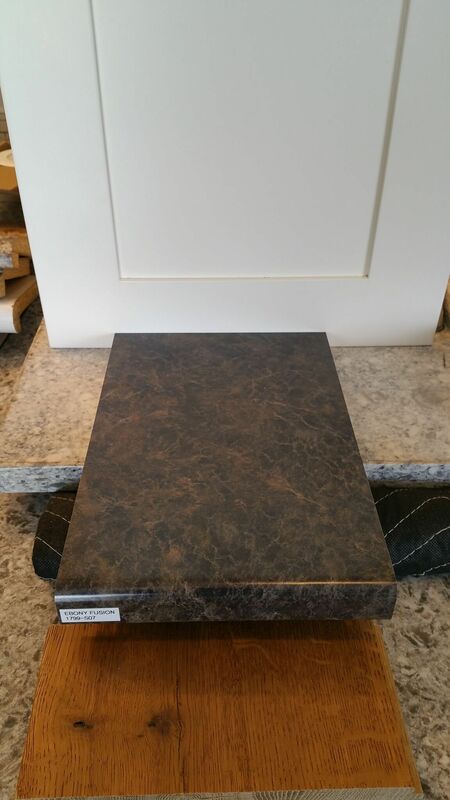 Kitchen cabinet and counter sample that we are going with. 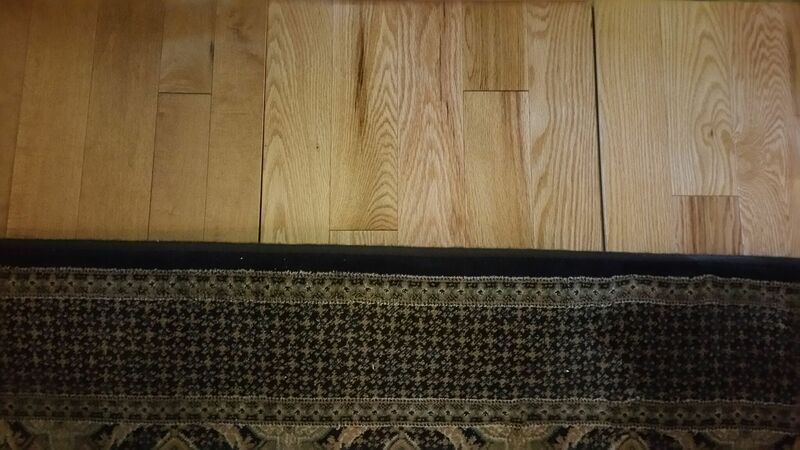 Various hardwood samples with our area rug. We are still stuck on this decision and have a deadline of this afternoon so the wood can be ordered on time.